Nature is the best classroom. There are so much we can learn just being outside in the nature. I am always excited by the idea that we have so many apps that can help us learn while we are out that we don’t have to carry those thick books with us. We recently shared 10 bird identification apps. 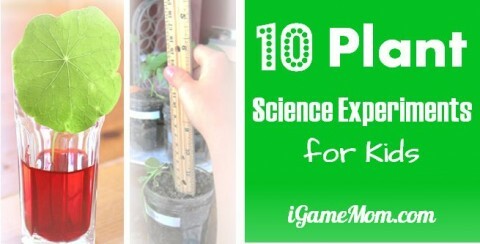 We also have 10 apps about bugs for kids. Today we share plant identification apps. Leaf Snap: a free app letting users to identify plants from leaves. There is a separate app for US and UK. 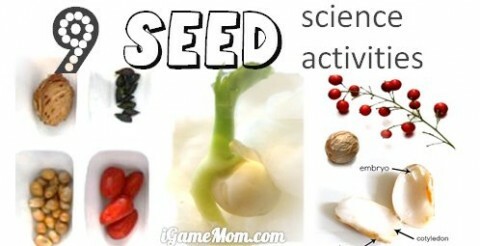 In addition to leaves, users can also find information on flowers and seeds. Audubon Trees includes 728 species, 3000 photos from the best nature photographers detailing every species with extraordinary clarity including leaf and bark. Users can also find range maps highlighting species distribution, in-depth descriptions of every species. You can search trees by leaf shape, region, bark and other Advanced Search options. 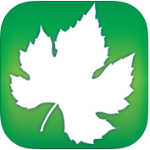 TreeBook is another free app with guides for 100 of the most common trees in North America. Information included: hand-drawn images, photos, synonyms for trees, layman terms, and detailed terminology. Users can use the search function to find trees in the database. MyNature Tree Guide includes over 190 trees with leaves or needles in North America, with 2 searchable databases for leaf and needle identification. There is a quiz section that is good to test out how much do you already know about the trees. Audubon Wild Flower includes 1918 flowers with rich and detailed information. I love the 3000 photos with details of each flower features. Users can search by color, region, shape and other Advanced Search options. You can also create a Personal Nature Account to post, keep lists, and share sightings with friends and followers. GSM Wildflowers covers 178 of the most commonly observed wildflower species within the Great Smoky Mountains of Tennessee and North Carolina with a focus on herbaceous plants, although some sub-shrub and woody vines have been included. Arbor Day Tree Identification Guide uses a step-by-step approach to identify more than 250 trees in the United States and Canada. Each tree has detailed descriptions of hardiness zone, potential height and width, and unique identifying traits of leaves, flowers, and bark. Users can use the GPS and mapping functionality to identify and share the locations of identified trees via Twitter. Like That Garden Flower Identification is a wonderful free app for your garden planning. It allows you to take pictures to identify flowers. If you see a flower you like, simply take a picture of it, and the app will tell you what it is, and similar looking flowers for inspiration and ideas and helpful information. Do you any good plant identification apps? I had no idea these were available! We moved to the country back in October and I am fascinated with the idea of foraging, but terrified of picking up something poisonous. I’ve checked out a lot of books on the subject, but just when I feel like a little confident that I understand the full description and can identify the plant being identified, there is a little box at the bottom of the page that will say, “But watch out for the look-alike XYZ plant, which is deadly poisonous.” LOL – no confidence! I will definitely be looking into these apps to help me!